The FISHER® HC snow plow makes short work of big storms in Alton. Available in 9' and 10' widths, the plow features a 34" tall, 11-gauge powder-coated steel blade, allowing it to clear large properties or long roads efficiently. Eight vertical ribs and an ultra, heavy-duty base angle, reinforced by Fisher Engineering’s proven T-frame design, make this plow strong enough to withstand the heaviest snow loads for heavy-duty commercial and municipal vehicle applications up to Class 6. 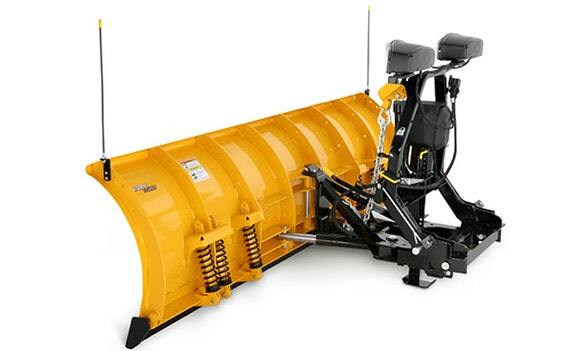 The HC snow plow features a 34" tall, 11-gauge powder-coated steel blade that is available in 9' and 10' blade widths. 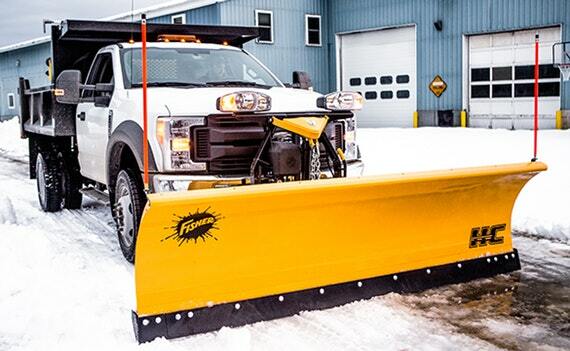 The HC snowplow features eight vertical ribs, gussets, pins and an ultra, heavy-duty base angle, all reinforced by Fisher Engineering’s proven A-frame design. This design is built strong to withstand even the heaviest snow for heavy-duty commercial and municipal vehicle applications. Click the button below to add the NEW for 2018 Fisher HC Series Snowplow 9' or 10' to your wish list.